"Yesterday was Cuddle Up Day!! Choose a book that makes you feel warm and cozy." I love to cuddle up in a blanket and read some books. And there are a lot of books, that make me feel warm and cozy and happy. 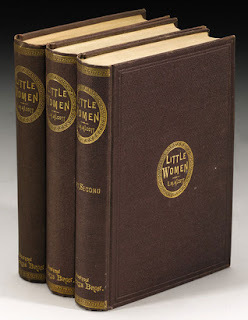 Today I'm going to choose "Little Women" by Louisa May Alcott. I like these old books. They are simple, but they look pretty good. 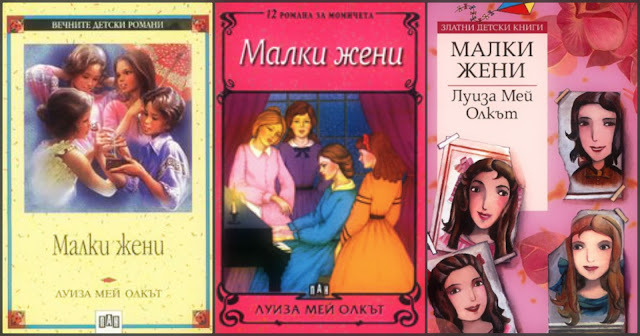 The first one is my favorite Bulgarian cover. I adore it. The rest of the Bulgarian covers don't appeal to me. They are all perfect. The color scheme, the art, the font...I love them! 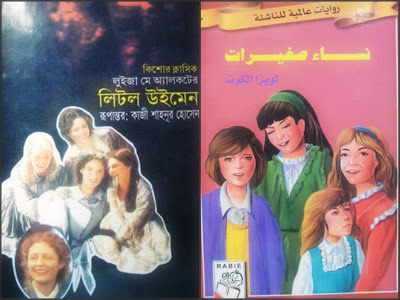 If I have to describe these covers with one word, it will be awful. I really don't like them.